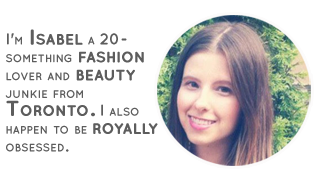 I was catching up on blog comments last night and CoutureCarrie.com is hosting a giveaway for an accessories line I had never heard of. Lets just say I'm now obsessed and very sad that I'm on a budget. I could easily spend my monthly budget in one go and these pieces aren't even expensive (this tells you how small my monthly budget is). 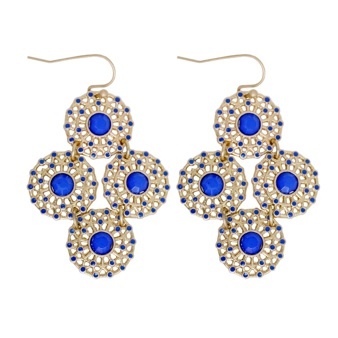 I love the mix of gold and blue and I think these would make a great addition to my accessories collection. O.o! These ones are soooo pretty! i saw a giveaway from them recently too - they have some great colors in their jewelry and it's so affordable! Gack - this makes me wish I could wear earrings! Wow, those earings are beautiful! They have so many gorgeous pieces! they're so pretty! not a bad price either.. Thanks for giving me yet another new obsession. Oh, those are adorable! I love the gorgeous blue color on them. How gorgeous-they remind me of Greece! Beautiful! I love the bright blue and the unique design. Very exotic! that blue color is oh soo fabulous!! Hello! Visiting for the first time hehe! I've never heard of this brand either but the earrings are beautiful. Also, I love Flora by Gucci!! Also, Kenzo Amour is great! These are so adorable! Love how vibrant the blue is. dude! i love them! i want them! i would totally wear them!